Please do not order a taxi for the current day, since we need one day handling time. You can reach our hotline by phone: +49 (0)9132 1515 or send an e-mail to info@taxi-haas.de. To store our contact details on your mobile or computer just download our business card. You can download our business card to easily store it in your phone or computer. Since we are more than a regular taxi company, we offer a wide spectrum of services. Save time, money and nerves! Order one of our taxis in advance and our driver will be at the airport or meetingpoint on time, to pick up you or your guests - without waiting time. We will take care of your baggage and drive you home, to your business partner or any other destination - any time. Also for an relaxed start to your business- or holidaytrip our driver will pick up and drive you to the airport - any time as well. Of course it is a matter of course for our drivers to help you with your baggage at your destination. Our Limousine comes with a premium interior and outstanding comfort. Reliable style combined with flexibility offer a wide spectrum of use and organization for business and private matters. We offer the ultimate service for YOU - state of the art technology and finest interior will make your trip something special. For many businessmen it is an avoidable stress, to strugle with the traffic to their way to a meeting. Our limousine service will relieve you of that burden and make it possible to arrive relaxed at your destination. We offer you a comfortable car for the drive to your target. A kind and communicative way stands out for our chauffeurs. However the top priority is the well being of our passengers. or front door are part of our standard. Taxi Haas has expanded its flagship modern and young vehicle fleet by another flagship. We are proud to offer you our exclusive service with one of the most advanced and environmentally friendly automobiles. 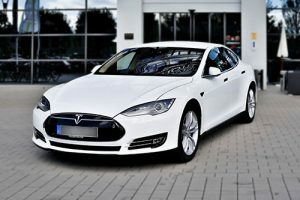 As of now, we are also environmentally friendly with a Tesla Model S in the metropolitan region of Nuremberg, Erlangen and Fürth, from Herzogenaurach. Book your next transfer to the airport, main station Nuremberg, or to any other destination with our Tesla. It goes without saying that we are happy to bring you safely and comfortably to your destination in the Audi A8 Executive with its long wheelbase, our 6-seater long VIP Mercedes Van, Mercedes E-Classes, or in our 8-seater Mercedes Vitos. 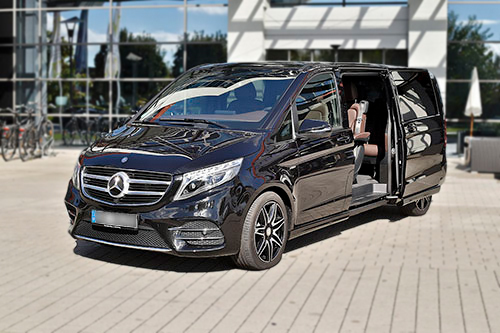 The company Taxi Haas was founded 12/2006 in Herzogenaurach. Until this time the company was located in Erlangen. The business benefits from almost 20 years work experience of its owner, who sets high value on versatility and premium standard of the car pool. To ensure that our international customers are comfortable with us, we only work with qualified and friendly staff. Accuracy and reliability as well as confidentiality rank first for us. Our service is available 24 hours a day, 7 days a week and we are looking forward to take your order! Alongside the moderen interior of our cars, they get cleaned well every day for you. In case of questions about our services or to get in contact with us, please feel write us. You can reach our hotline by phone: +49 (0)9132 1515 or send an e-mail to info@taxi-haas.de. 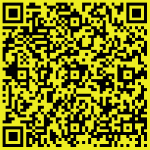 To store our contact details on your mobile or computer just download our business card.